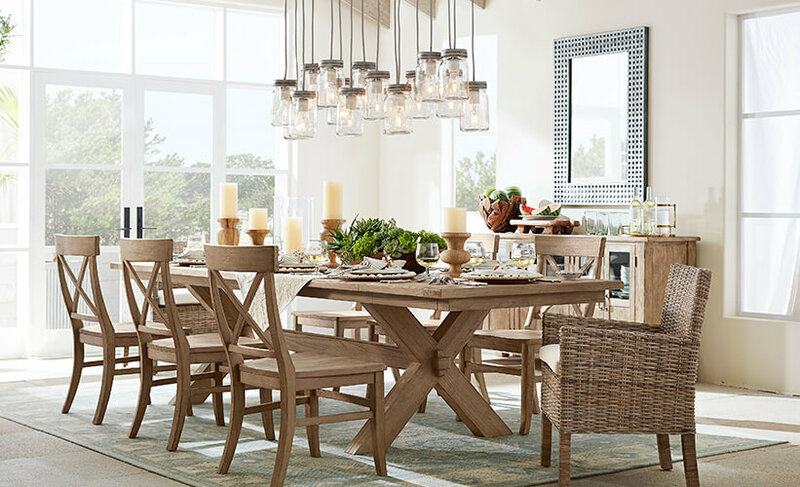 The Dining room is a place for family time. Whenever there are guests, this is the most entertaining place, where food and gossip complement each other. 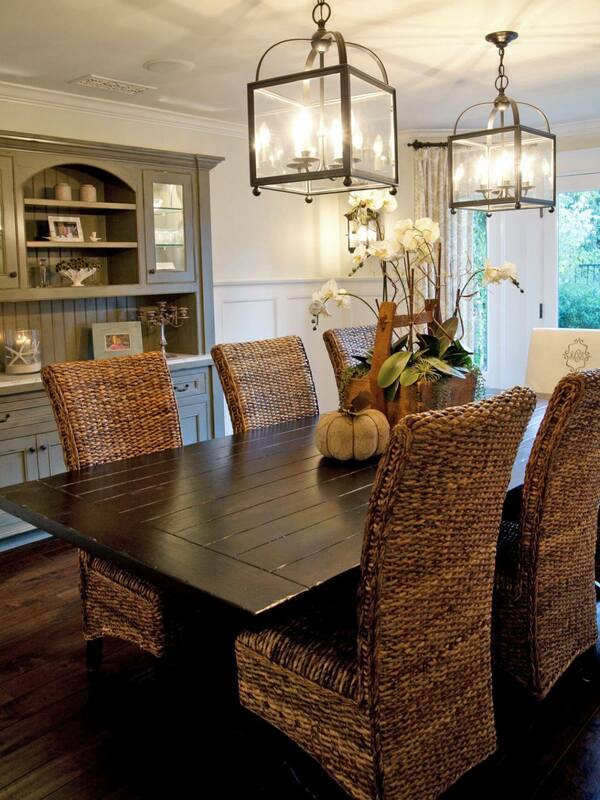 It is necessary to create a pleasant environment in a simple yet attractive décor idea. 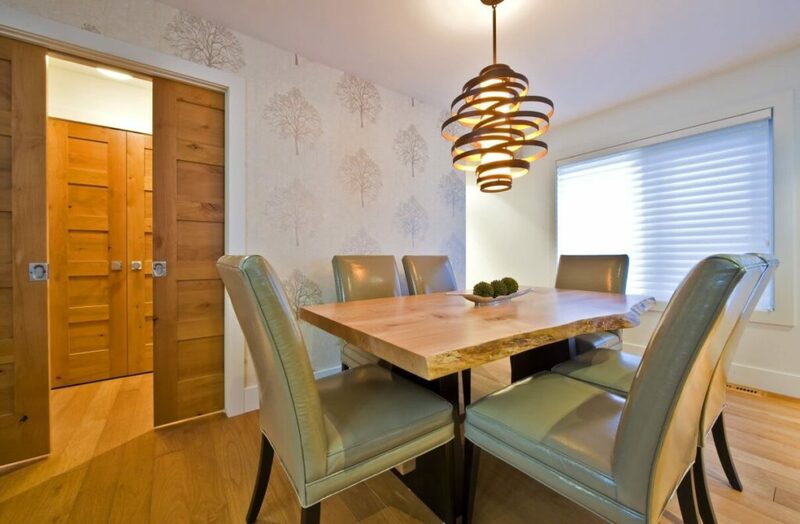 One can use the dining room adding light fixtures to increase the brightness of the area. 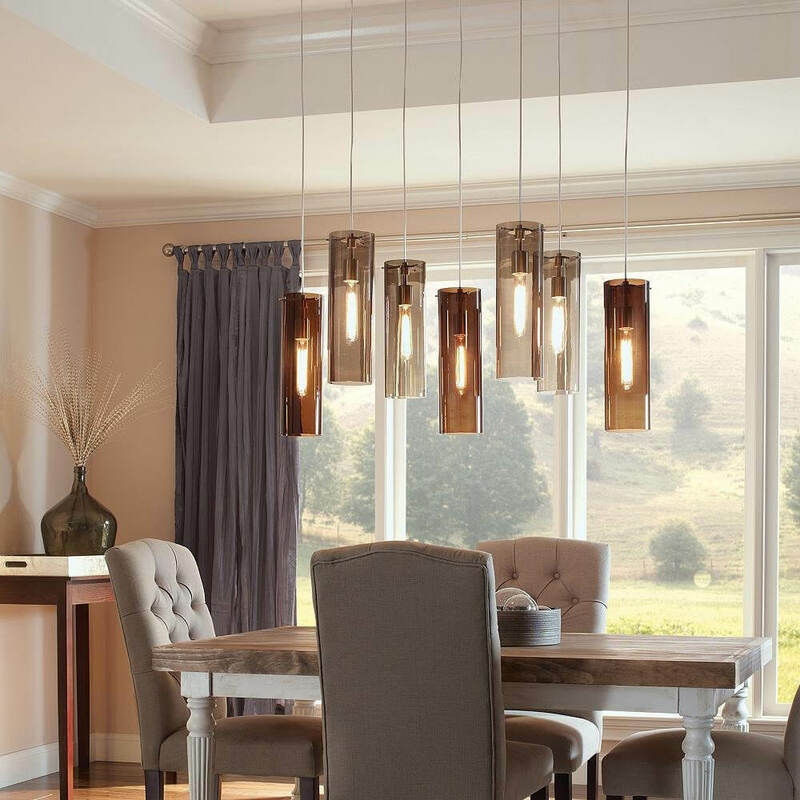 There are many distinct dining room lighting ideas. 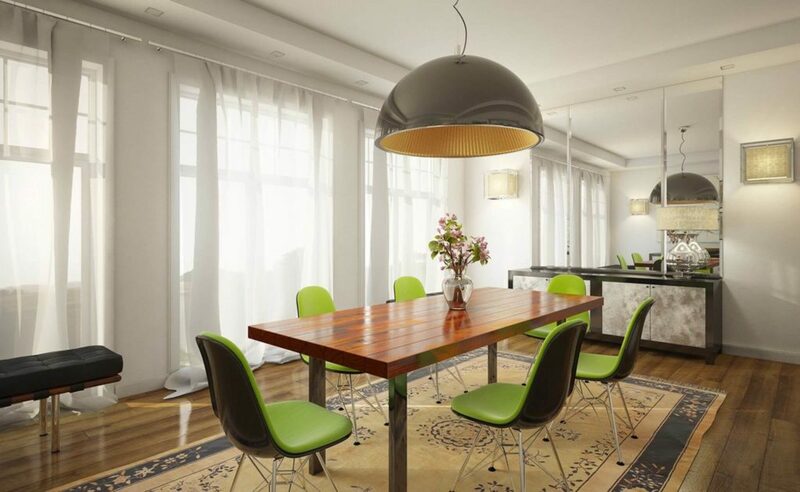 Augmentation of false ceiling and décor with LED lights can provide a smart and clean look. 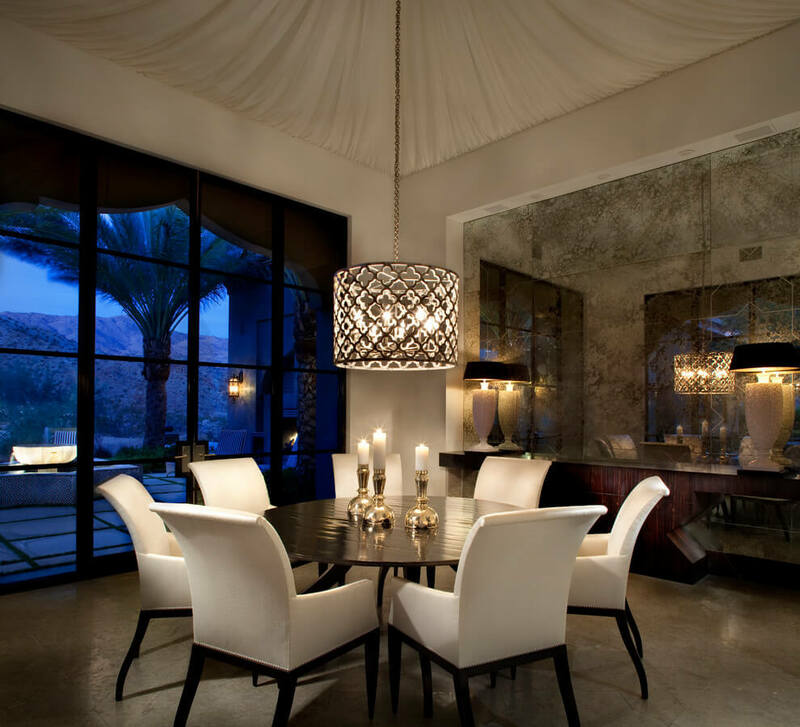 Nowadays, interior designers prefer traditional lighting idea such as a glowing chandelier. 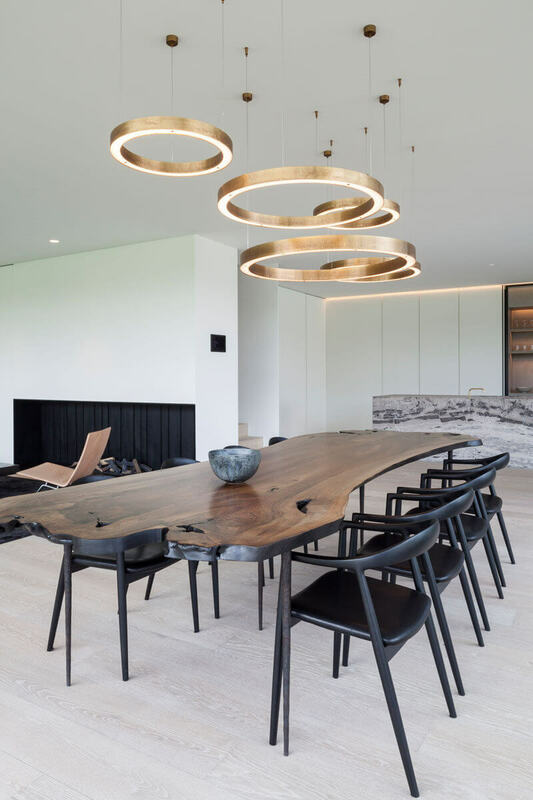 From the sculptural pieces to simple pendants design, one can glance at the selection of inspiring dining room designs including statement fixtures. 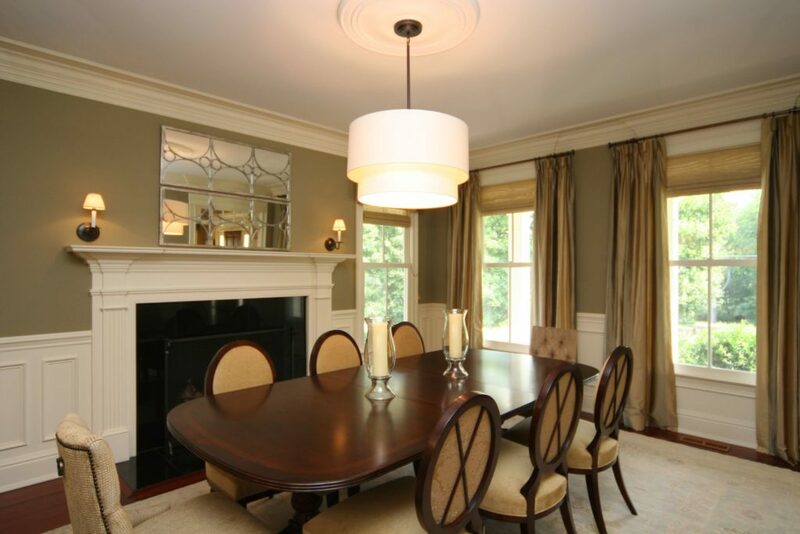 In a big dining rooms magnificent centerpiece, the ambiance should be illuminated. 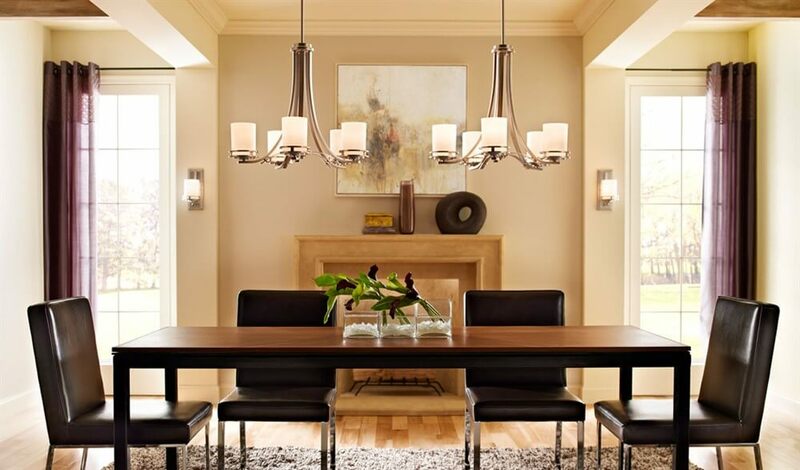 Chandelier comes in different designs which can suit your taste and preference. 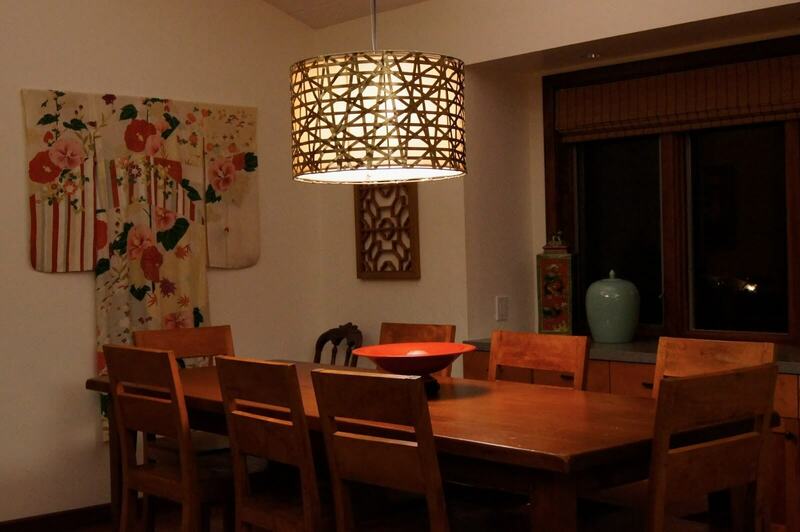 There are pendant designs, which enhance the warmth and radiance of the room. 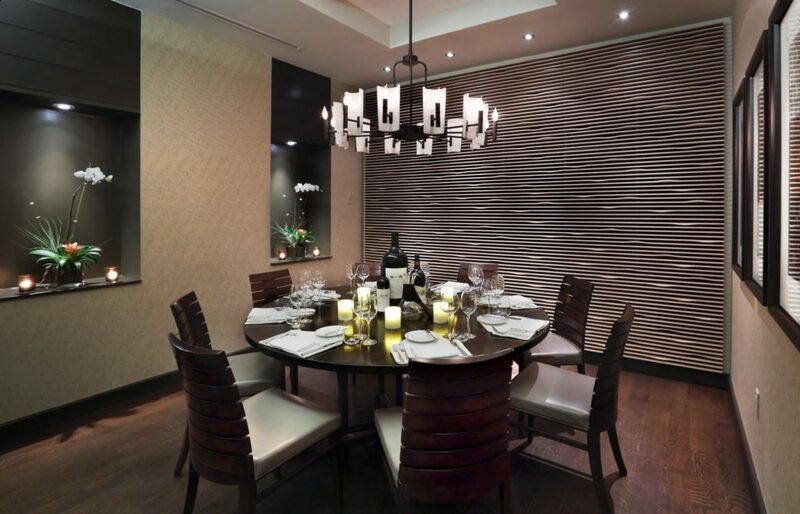 Wall sconces are another option to enrich the dining space. 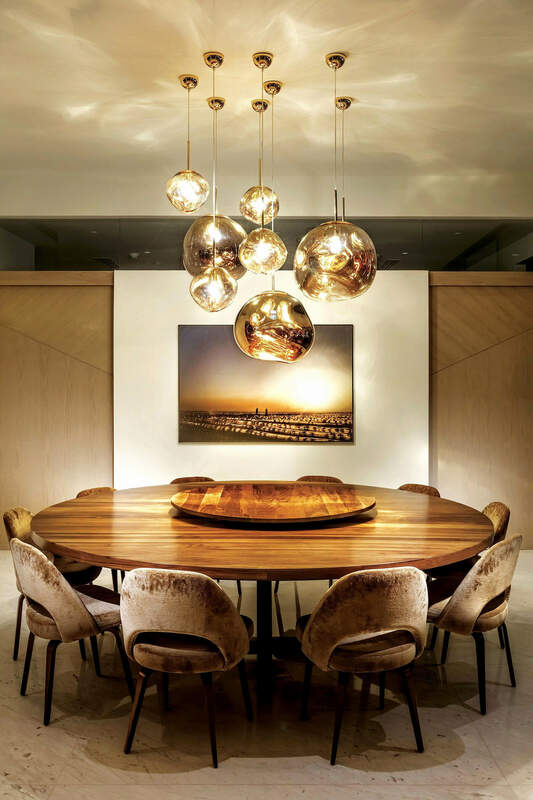 Recessed lighting is a lustrous, unobtrusive and perfect idea for highlighting the artwork or exclusive architectural elements. For decorating, dining room consoles or the sideboard lamps and shades are a superb lighting option. 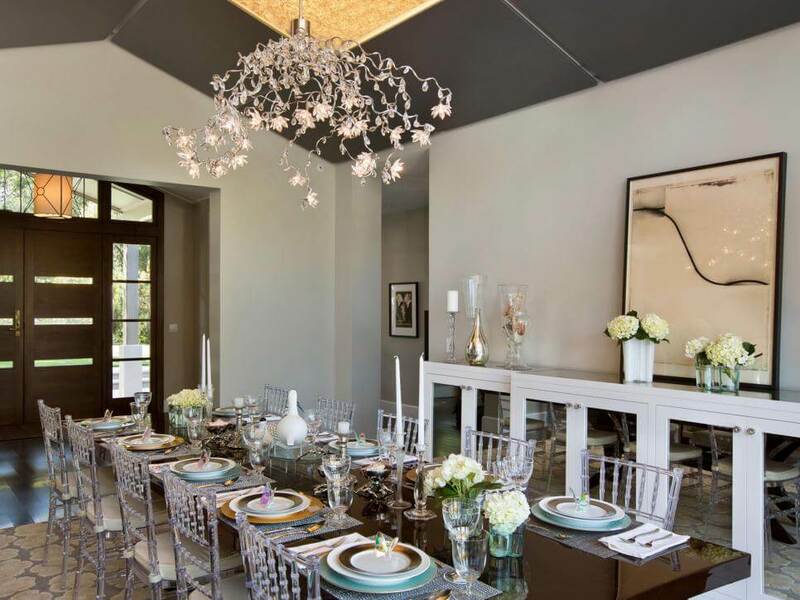 The perfect color is required to select which can create a stunning atmosphere in the dining zone. 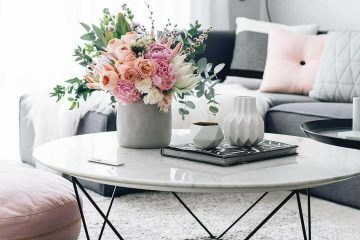 It is necessary to keep in mind about the brightness of the room. 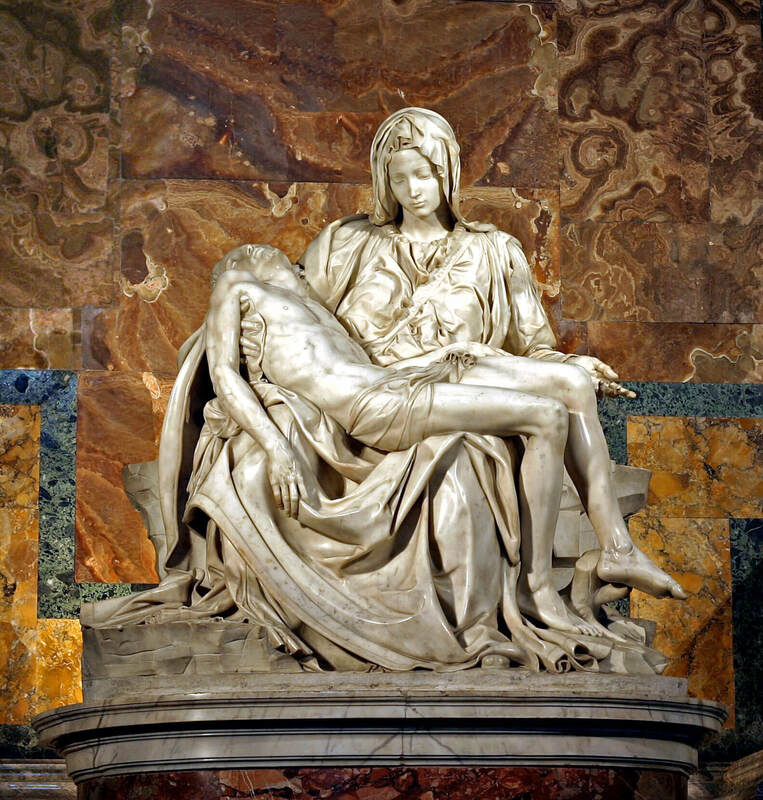 Light color shade absorbs less light, which gives a bright appeal. 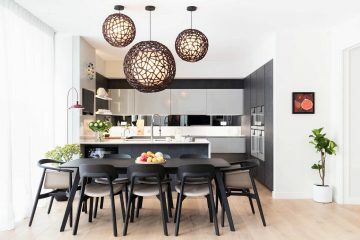 Whereas dark shade absorbs more light ideas which gives gloomy look. 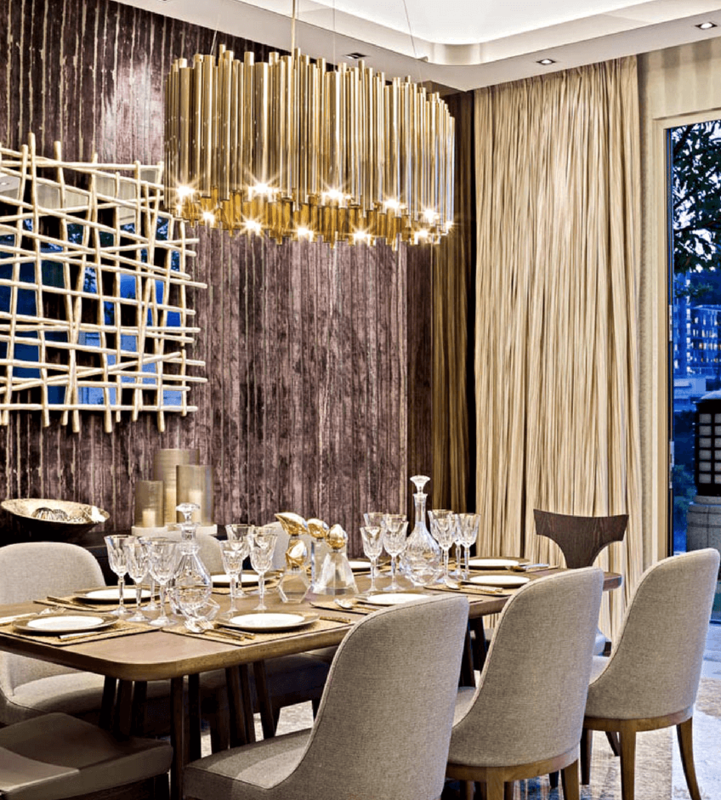 Interior designers in this modern era still use a dark color to highlight the background.